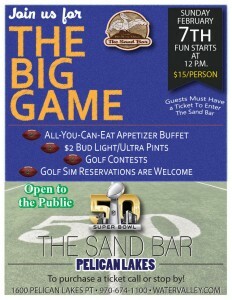 The Sand Bar at Pelican Lakes will host a party on Super Bowl Sunday, Feb. 7, and everyone’s invited! The event is open to the public but tickets must be purchased ahead of time. 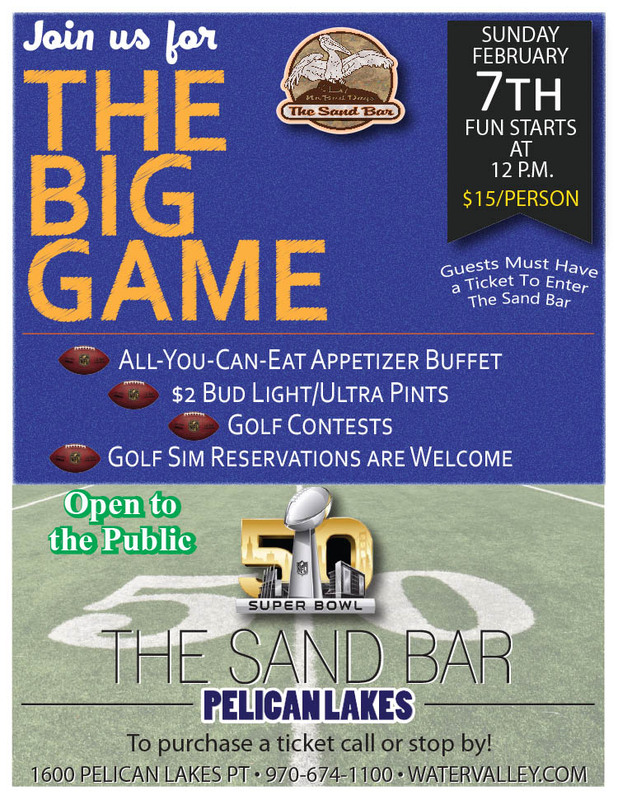 Tickets are $15/person and includes an all-you-can-eat appetizer bar and entry into golf contests on our indoor simulators. The event will start at 12 p.m.
To purchase tickets, call (970) 674-1100.